Owen Riley Jr. is a Greenville, South Carolina based artist and teacher. He holds a 2010 MFA in Visual Arts/Photography from Clemson University, did post graduate work in journalism at The University of Georgia’s Henry Grady School of Journalism and received his bachelors degree in Art from Berry College in Rome, Georgia. Riley's work is in the permanent collections of The Greenville County Art Museum, The Greenville Fine Arts Center and in private and corporate collections across the United States. His work has been presented in multiple solo shows and in national and regional juried and invitational shows in the United States. 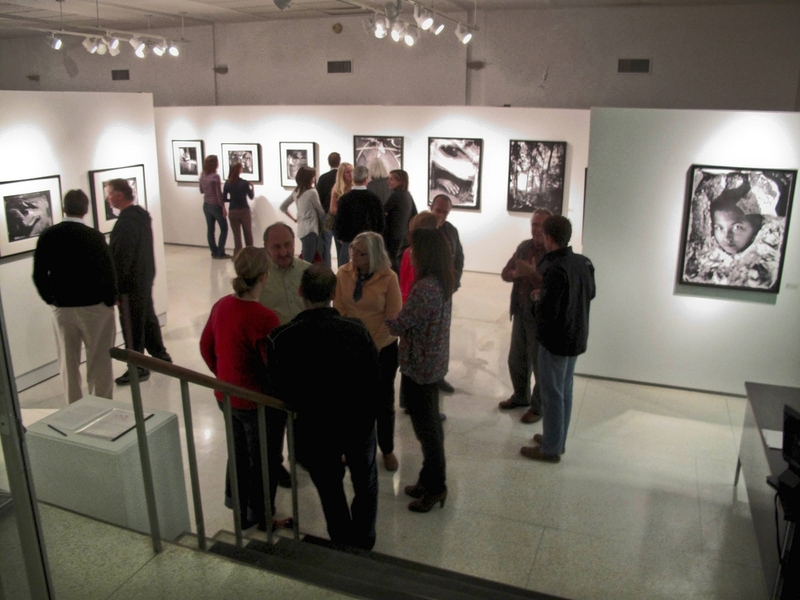 The Greenville County Art Museum presented a solo show of his work in 2015 and The Southeast Center for Photography presented a solo show of his work in 2016. Riley lives in Greenville with his wife Beth, a psychotherapist in private practice and their bulldog Lily and cat Mies. Their daughter Clara, is a rising sophomore at Tulane University in New Orleans. Riley's passion is art, teaching and his family. His hobbies include collecting art and midcentury antiques for his sixties modern home, travel, listening to and collecting vintage vinyl, cooking, music, making espresso and bicycling. "Local Talent: Owen Riley" Solo show at the Greenville County Museum of Art, 2015. 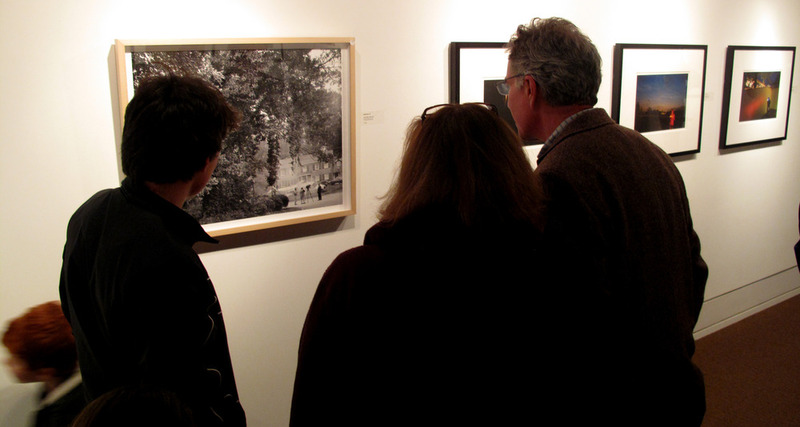 2016 "Owen Riley: Selected Works" The Southeast Center for Photography, Greenville, S.C. The Greenville County Museum of Art, Greenville, S.C. The Upstairs Contemporary Art Space, Tryon, N.C. The Vandiver Gallery at Anderson University, Anderson, S.C.
2012 “Letting the Light In” Solo Show, The Milliken Gallery, Converse College, Spartanburg, S.C.
2011 “Statewide Photo Faculty Exhibit” The Greenwood Museum, Greenwood, S.C.
2011 “Selected Works: Owen Riley Jr.” Solo slow, The Meridian Gallery and Studios, Greenwood, S.C.
2011 “Artisphere Artists of the Upstate” 2011 juried show, Greenville, S.C.
2010 “Boundaries - Recent Work” Solo Show,The Moon Gallery, Berry College, Rome, GA.
2010 “The South Carolina Scholastic Invitational Photo Exhibit” Greenwood, S.C.
2010 “Artisphere Artists of the Upstate” 2010 Annual Juried Show, Greenville, S.C.
2010 “Crossing Over” Three-person show Riverworks Gallery, Greenville, S.C.
2010 “Pedalpop” Invitational Show, The Warehouse Theater, Greenville, S.C.
2008 “Artisphere Artists of the Upstate” First Annual Juried Show, Greenville, S.C.
2008 “Clemson’s Anagama Exhibit,” Group Show, The Anderson Art Center, Anderson, S.C.
2007 “Moments In Between” Solo Show. The Greenville Fine Arts Center, Greenville, S.C.
2005 “RiverRun, Art of the Reedy,” Greenville County Museum of Art, Invitational Show, Greenville, S.C.
2013 Artist Talkfor "Recent Work - Owen Riley Jr." Solo Show, The Vandiver Gallery at Anderson University, Anderson, S.C.
2012 Artist talk on “Letting The Light In” (January 19th.) The Milliken Gallery at Converse College, Spartanburg, S.C.
2012 Workshop and demonstration on The Wet Plate Collodion Process, at Click 646, a statewide photography event at the Greenwood Art Museum. 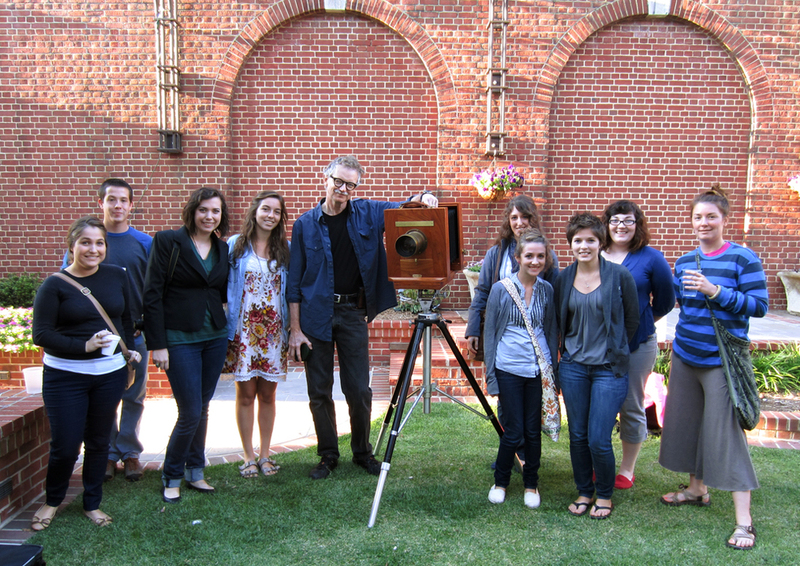 2011 Workshop and demonstration on The Wet Plate Collodion Process, at Anderson University's Art Department. 2011 Workshop and demonstration on The Wet Plate Collodion Process, at Furman University's Art Department. 2010Gallery talk at the Greenville County Museum of Art, for "Portrait of Greenville"
2010 Art work presentation at Art Slide Jam, Clemson, S.C.
2011-12 Juror for the South Carolina Festival of Flowers Photography Show, Greenwood, S.C.
2010 Purchase Award, The Greenville County Museum of Art for work in “The Greenville Scene” show at the Metropolitan Arts Council, Greenville, S.C.
2010 Clemson University Art Department Research Grant for the study of the Wet Plate Collodion photographic process in Santa Fe, N.M.
2012 - Current Digital Photography and Documentary Filmmaking Teacher; Christ Church Episcopal School, Greenville, S.C.
2011 Artist/Teacher in residence, Pickens County Title One Summer Academy, Easley, S.C.
Primary Lifestyle photographer for the Greenville News and Greenvilleonline.com. HOMESphotographer for Talk Magazine. 2008-2010 Graduate Teaching Assistant, Clemson University, Clemson, S.C.
*Art 313, Intermediate Photography, Fall 2010. *Art 213, Beginning Photography, Spring 2010. *Directed Independent Studies, Art 413, Advanced Photography, Spring 2010. *Art 213, Beginning Photography, Fall 2009. * Directed Independent Studies in Art 313, Intermediate Photography, Fall 2009. 2004-2008 Chief Photographer – The Greenville News, Greenville, S.C.
1988-2004 Staff Photographer – The Greenville News, Greenville, S.C. Worked with editors to determine news coverage and generated and photographed video and print assignments for news, lifestyle and sports. 1998-Current Self employed freelance art, commercial and advertising photographer. Photographing lifestyle assignments for advertising, branding and editorial clients. 1985-1988 Staff Photographer – The Anderson Independent-Mail, Anderson, S.C. Worked with editors of this regional daily newspaper and generated and photographed assignments in news, lifestyle and sports. 1984 Photographer and student adviser/teacher, The Foxfire Press, Rabun Gap, Georgia. Paid internship teaching photography to high school students in the nationally known Foxfire Fund educational program. Photographer for The Foxfire Press, traveling the Southeast United States shooting assignments for The Foxfire Book of Toys and Games and other Foxfire publications celebrating Appalachian Folk Life. Paid residential assistantship supervising six Resident Assistants and 200 plus freshmen in the Russell Hall Men’s Dormitory at UGA. Received extensive training in counseling, leadership and team/trust building used to support students and staff and insure compliance with university policy. 1982-83 Program Assistant, the National 4-H Center, Washington, D.C. Taught and helped develop new programs for the 4-H Club’s “National Citizenship Focus Program” for outstanding 4-H teen leaders from across the United States. Received extensive training in working with adolescents, team building, leadership and counseling. Taught government, citizenship, leadership and arts awareness that students were expected to take home to their own communities. Black and white film/darkroom photography, all aspects from pinhole photography to 35mm to large format view cameras. 2011 Wet plate Tintype workshop with John Coffer at Camp Tintype in Dundee, N.Y.
2008 – 2010 Master of Fine Arts, Visual Arts/Photography. Clemson University, Clemson, S.C.
2010 Wet Plate Collodion workshop with France Sully Osterman and Jill Enfield , The Santa Fe Workshops, Santa Fe, N.M. Photos taken on assignment for The Greenville News. Riley’s work has been published nationally and internationally both online and in books, magazines and newspapers. Riley’s commercial and advertising work specializing in education, medical and financial groups was created with Greenville’s Gibbons Peck Ideas at Work advertising and branding agency. The work has appeared on billboards, online and in magazines and newspapers across the southeast United States. In addition, Riley has done pro-bono work for multiple non-profits in the upstate including the United Way Annual Campaign, The Greenville Literacy Association and Compass of Carolina.